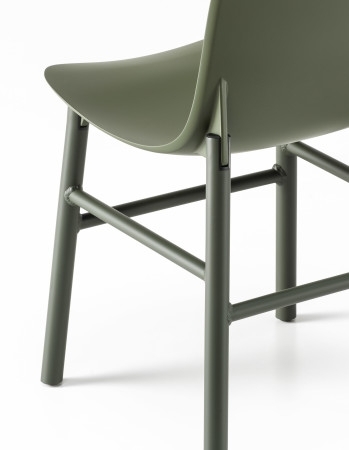 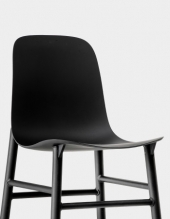 The polyurethane structure of the chair gives it a light dynamic line. 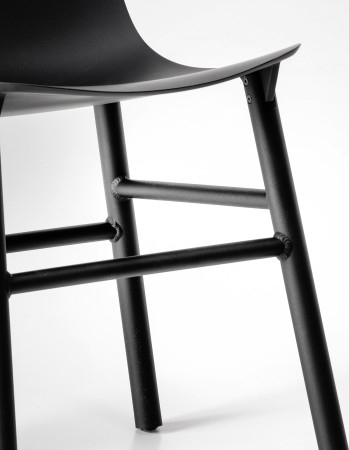 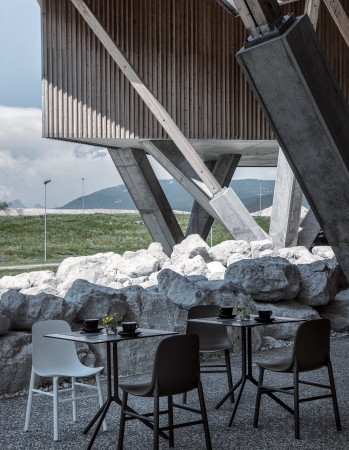 Its matt lacquered aluminium legs, with visible welding, highlight its material quality and sturdiness; design features that are typical of “made in Italy” workmanship. 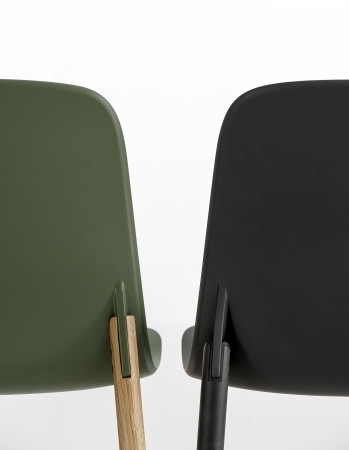 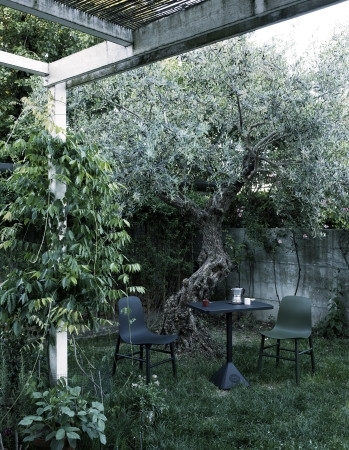 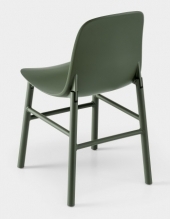 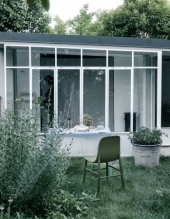 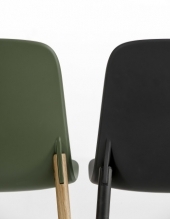 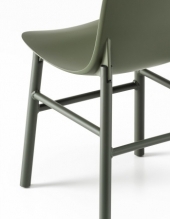 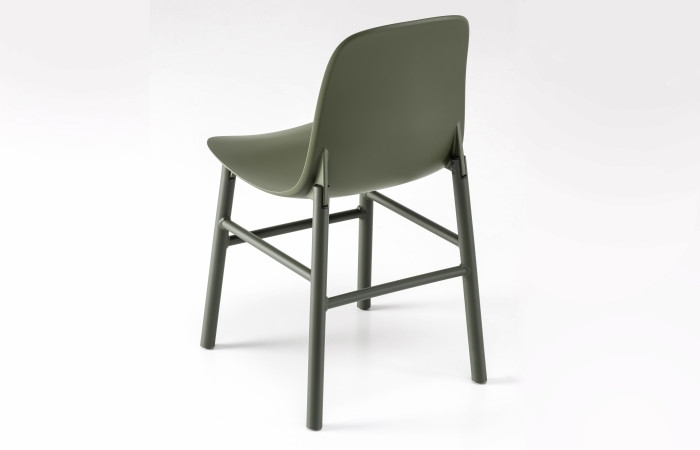 The chair comes in various colour options for the structure and the frame. 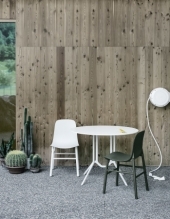 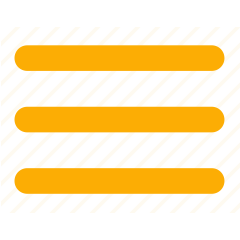 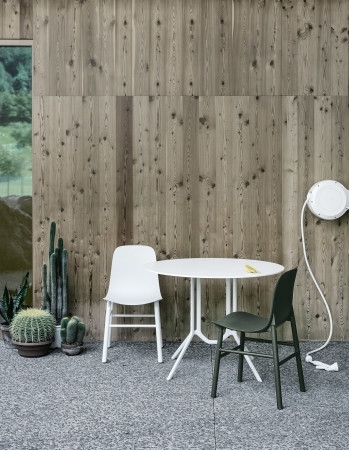 The range of colours for the chair includes the most classic white, black and beige, as well as terracotta, brown, olive green and light blue.